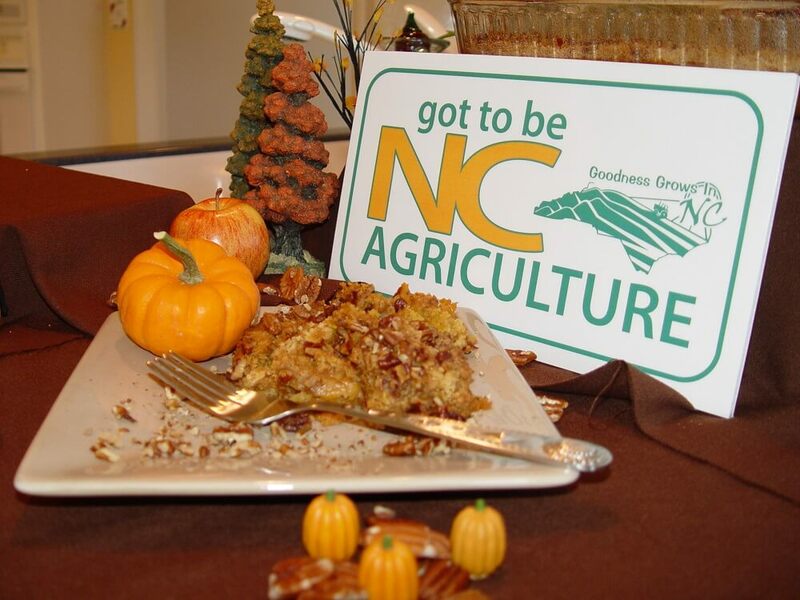 This recipe won third place in the North Carolina Pecan Recipe Competition at the NC State Fair this year. Julie DePiro created this delicious dessert. This recipe is very easy and great for Thanksgiving. Preheat oven to 350 degrees. Stir together the first five ingredients. Pour into a lightly greased 13-inch by 9-inch baking dish. Sprinkle cake mix evenly over butter mixture. Evenly sprinkle pecans over cake mix. Drizzle butter evenly over pecans. Bake for 1 hour or until golden brown. Cover with aluminum foil after 30 minutes. Remove from oven and let stand 10 minutes before serving.